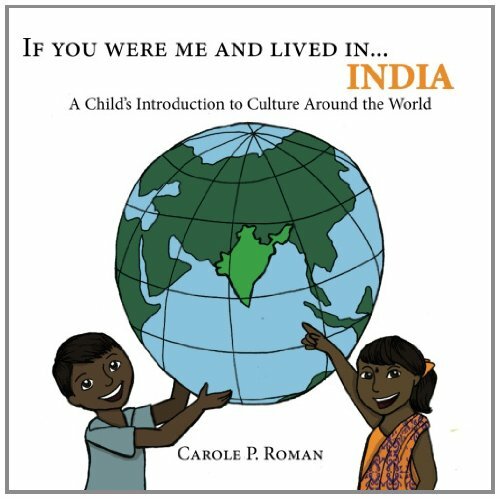 Review: If You Were Me And Lived In…India by:Carole P. Roman | A Simple Life,really?! Let’s travel to India! Land of bright colors and delicious spices, If You Were Me and Lived in…India, takes young readers on a road trip to learn about this interesting place. Children will learn how to say mommy and daddy, what type of currency is used, games that youngsters play and a lot of interesting facts about the beautiful land of India. If You Were Me and Lived in…India adds this ethnically diverse country to the growing, award winning series that is out to cover the entire globe, teaching children about culture and customs all over the world. The ForeWord Review, Clarion Review gave “If You Were Me and Lived in…Kenya” a coveted five star ranking. The first book in the series, If You Were Me and Lived in…Mexico” received the Pinnacle Award for Best in Children’s Nonfiction 2012. Award winning author Carole P. Roman is delighted to add India to her growing series. She is currently completing If You Were Me and Lived in…Portugal, Greece, and Russia; which she researched and wrote with her five year old grandson, Alexander. Her first book Captain No Beard An Imaginary Tale of a Pirate’s Life was named to Kirkus Best 2012, received the Star of Remarkable Merit, the Pinnacle Award for 2012, and Just recently The Erik Metzroth Award for Best Children’s book 2013. An imaginary field trip or guided tour to the country of India, is what you will receive if you read the latest book in the If You Were Me And Lived In series. The books in the series have several interesting facts about the country that you are to learn about. Facts that otherwise you would of never realized such as the common names of children there are Rakesh-if you are a boy, and Rhea-if you are a girl. Mothers and Fathers there are referred to as Maaji and Pitaji, respectively. The author describes several foods that are enjoyed there as well as sports enjoyed and many landmarks that are tourist attractions. Life in India seems like tons of fun for adults as well as young children. I know I would love to visit there some day but until then we could pick up a book from this series and dream!